Having the ability to slow your heartbeat with nothing more than your mind is a very handy skill to have, but it’s one that not many folks can master. 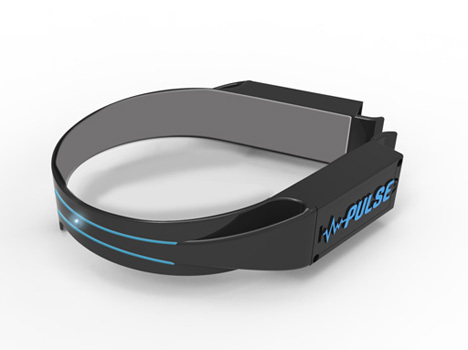 You’ll have to learn to do just that to play Pulse, a game that you win by keeping your heart rate within a specific range. To play, each player puts on a black halo-like headband. These techy tiaras are actually heart rate monitors that send your heart rate directly to the scoreboard. Each player draws a card and reads the challenge written on it. 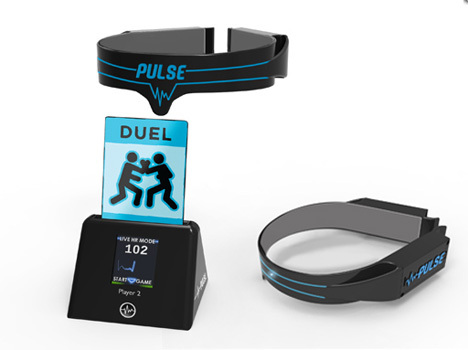 Challenges include raising your own heartbeat, lowering or maintaining it, and making another player’s heart rate jump. 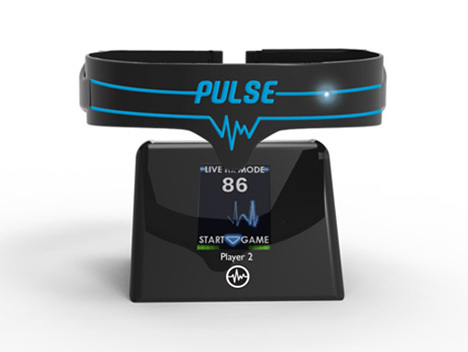 Although there are aren’t many details about the actual game play online, it is clear that the player with the best control over his or her heartbeat will emerge victorious. The heart-pounding game is from Teko Toys and will be available starting in summer of 2013 for $50. See more in Various Gizmos or under Gadgets. March, 2013.